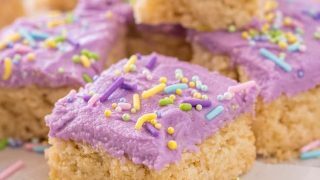 Gluten Free Sugar Cookie Bars- Everything you love about gluten free sugar cookies in an easier, lazier bar cookie. Dairy free and vegan recipe options. You know me. I’m all about gluten free sugar cookies. My gluten free sugar cookies were one of my first recipes to take off and get traction on the inter-webs. They taste JUST like a Lofthouse soft frosted sugar cookie. My recipe doesn’t have sour cream, like a lot of Lofthouse copy cat recipes do. Instead, it has a vegan and dairy free option. Seriously, my soft frosted gluten free vegan sugar cookies are simply magical for anyone with allergies. 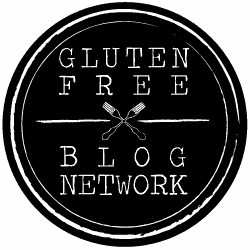 I’ve actually been making gluten free sugar cookie bars based on my gluten free sugar cookie recipe for YEARS. 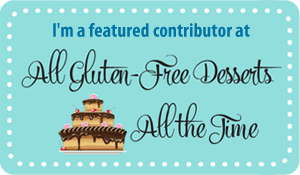 It was one of the first recipes in my cookbook, the Essential Gluten-Free Cookie Guide. 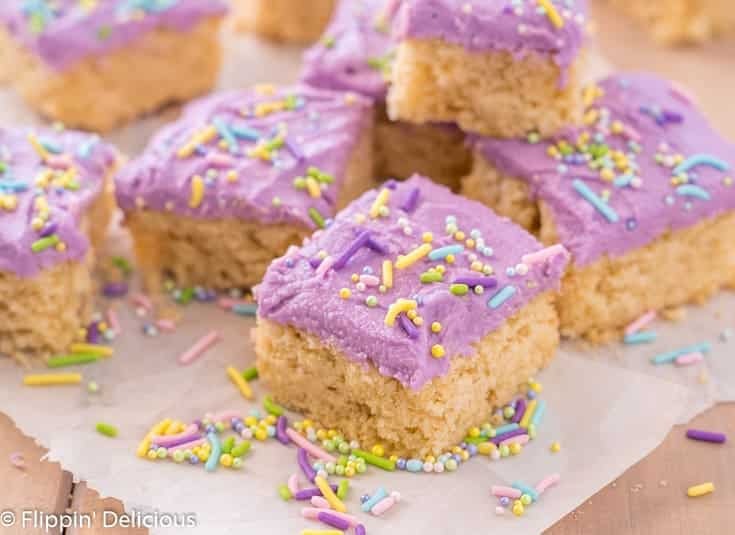 Whenever a gluten free soft frosted sugar cookie craving hits, but I don’t have the time or energy to roll out cookie dough and pull out my bin of cookie cutters, I make these gluten free cookie bars. 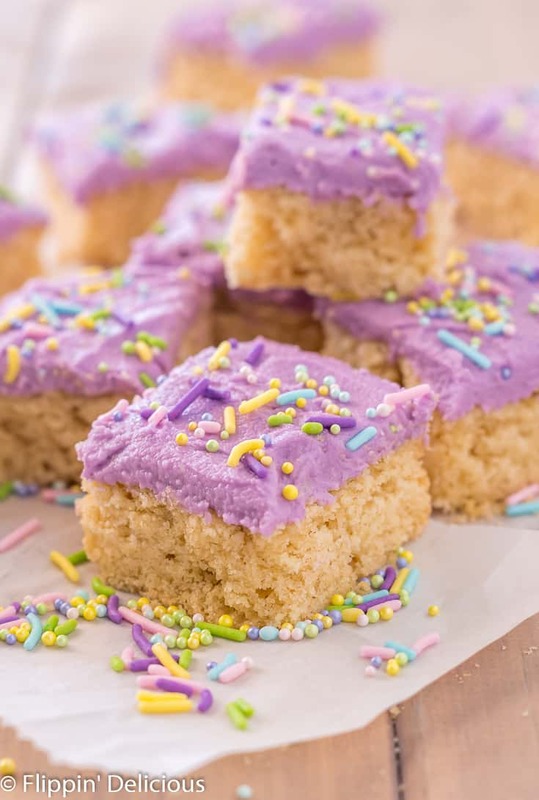 It is high time I shared my gluten free sugar cookie bar recipe with you all here on Flippin’ Delicious. The gluten free sugar cookie dough comes together quickly, I have made it in my stand mixer, with a mixing bowl and electric beaters, or with a sturdy spatula and a lot of elbow grease. They have all been delicious! Once the sugar cookie dough is ready, all you do is press it into a square baking dish. I like to line my 8×8 pan with parchment paper so that I can use it to lift the sugar cookies out after they are done baking.! If you don’t have parchment paper I’ve used aluminum foil in a pinch. I’ve also just pulled them out the old-fashioned way with a spatula. 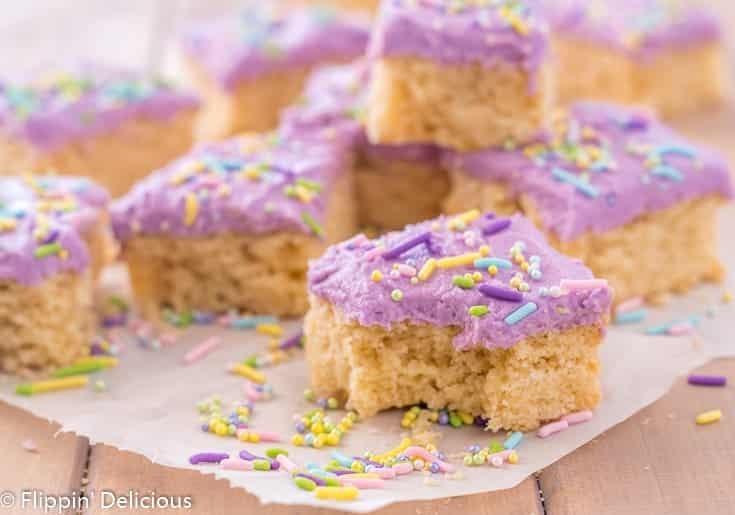 My vegan buttercream frosting comes together really quickly and is the perfect topping for these sugar cookie bars if you are vegan or dairy free. If you love butter, and your tummy loves butter (lucky duck!) indulge in my easy American buttercream frosting. 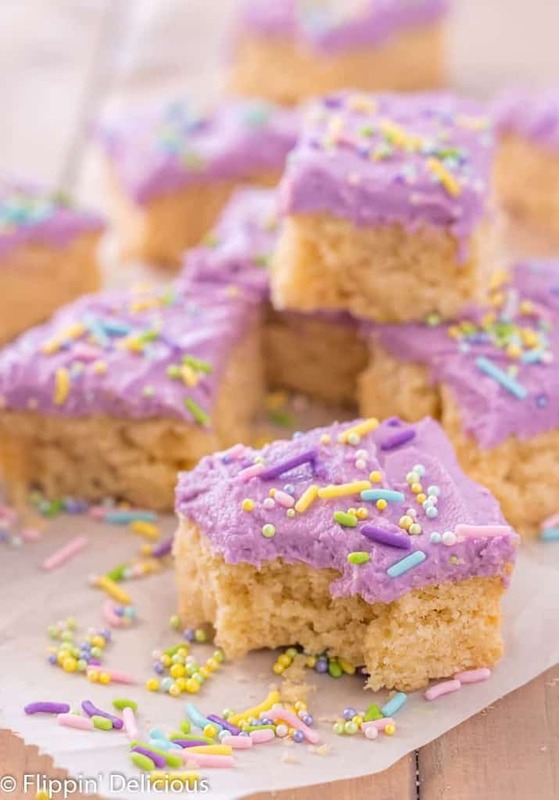 I often make these gluten free sugar cookie bars for potlucks and picnics. They are always a hit and I rarely bring leftovers home. And don’t forget the sprinkles! Sprinkles make life a party. I honestly look for excuses to top things with sprinkles. Just ask my kids! If you are looking for a fruity bar cookie recipe, I think you’ll love my friend Nicole’s recipe for Raspberry Shortbread Bars. I love bar cookies with a crumb topping! Preheat the oven to 350°F. Line an 8x8 baking pan with parchment paper, or lightly grease it with cooking spray. In a stand mixer, or in a medium bowl with electric beaters, cream the butter (or vegan butter and palm shortening) and sugar together on low-medium speed. Add the egg (or vegan egg substitute) and beat until smooth. Add the salt, baking powder, xanthan gum, and vanilla extract. Then add my gluten-free cookie/cake flour blend and mix until combined. Press the dough evenly into your prepared pan and bake for 25-30 minutes, or until a toothpick comes back clean with just a few crumbs. The cookie bars will still be soft, but will have lost their doughy shine. Let cool completely, then frost with either American Buttercream Frosting or Vegan Buttercream Frosting and top with sprinkles. These are delicious and simple to make. Thanks for this recipe! So happy you enjoyed them, Ingrid. They are one of my favorites!